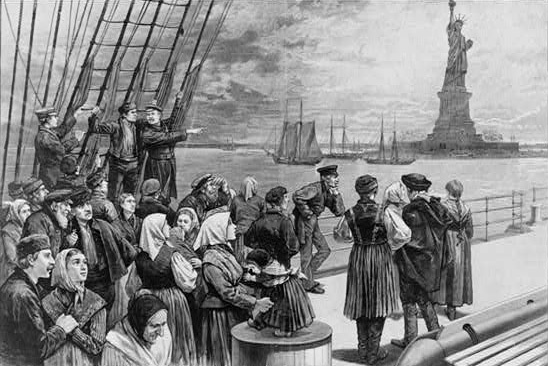 It’s safe to say that very few of us (Jews, sure, but really any of America’s immigrant descendants) share the same name our ancestors brought with them when they traveled to this country. But while “Greenberg” may have morphed into the more genteel (and gentile) “Greene,” and “Abromovitz” to the country-club acceptable “Abrams,” that change probably didn’t happen where you think it did. The myth of families being assigned Americanized names at Ellis Island, it turns out, is just that: A myth. …The inspectors at Ellis Island “did not create records of immigration; rather they checked the names of the people moving through Ellis Island against those recorded in the ship’s passenger list, or manifest.” No names were changed at Ellis Island, because no names were taken at Ellis Island. A search of historical newspapers using the ProQuest Historical Database produces only one story about name changes written during the time that Ellis Island was in operation. Leonard Lyon’s entertainment column Broadway Potpourri, in the Washington Post of April 10th, 1944, states that Harry Zarief, “the assistant concert master for Morton Gould,” and famously a father of quadruplets, had recently changed his name back from Friedman. So, unless your last name is “Zarief,” you should probably stop telling people your family’s name was changed at Ellis Island. You sound like you’re fresh off the boat.